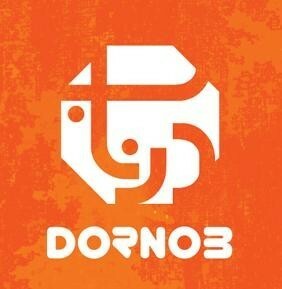 "Dornob sings in Farsi and uses traditional Persian instruments like the [stringed] Tar and the Tombak [drum]." A driver plowing into the building and wall-punching punks can’t stop the music at a Grantville doughnut shop. After a five month remodeling, the reopened Donut Panic segues from punk to Persian this Sunday. Linda Dami, who has a UCSD degree in Anthropology, co-owns Donut Panic with her father Mark. It was while working at UCSD’s student-owned Groundwork Books and attending shows at Ché Café that she picked up a DIY ethic. So along with a friend from the band Remain in Vain who worked the door, Dami started throwing shows at Donut Panic shortly after she and her dad opened the store in 2014. She says she did about eight shows every other month or so featuring punk, hip-hop, and metalcore, including bands like the Vaginals, Debt Ritual, Satan Dance Party, and Nikki and the Mongoloids. ...a song from Kermashan (Kurdistan, Iran) in avaz Afshari. Then in January 2015 she let the guys from the PSO band throw a show there with their famous crew known as the “Lemon Grove Punks.” Linda regrets that her friend who normally works the door wasn’t there that night. “There were a lot of high school kids who were moshing,” says Dami. And while the band paid to fix a hole in the wall, the bigger snafu was happening outside. She says Donut Panic took its cue for its next musical endeavor from her father.